— Principle of force factors pairing in structural mechanics. All actual approaches and theories of structural mechanics widely employ such an abstract concept as generalized force, neglecting, however, a definite and practical concept of external force factor. In author’s opinion, this breaks the interrelations between the external and internal forces acting on structures and the strains occurring in the structures, which leads to an implicit violation of the classical mechanics laws, namely the law of energy conservation, the Lagrange principle, and Newton’s laws. It should be stressed that Leschenko does not suggest that one concept should be simply replaced by the other, but interrelates the external action with other forces and factors concurrently acting on the structure. Thus, the author has proposed to consider any elastic system as based on three permanently acting factors: 1) external forces; 2) internal forces; and 3) elastic strains; and indicated the principles linking the effects of these factors. 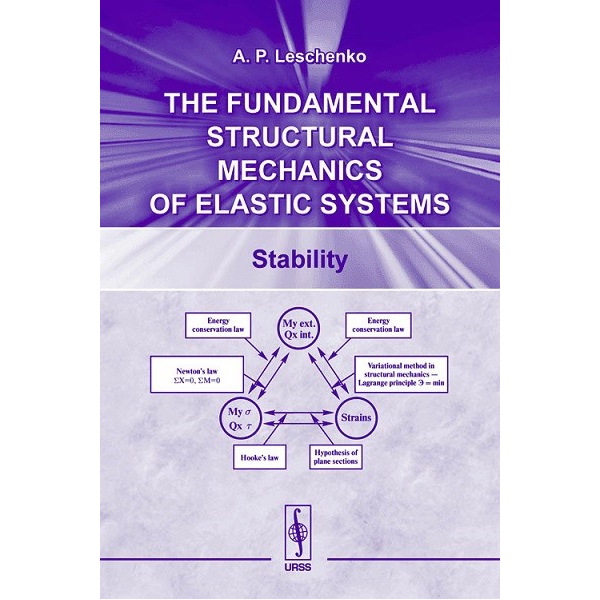 Leschenko has developed a graphical scheme (the so-called triad) for an analysis of elastic systems. The triad analysis of elastic systems has enabled to reveal great contradictions in the available structural calculations of plates, shells and bars. On the other hand, the new method has allowed for an adequate model of stress-and-strain state of constructions to be developed, which, for the first time ever, has made it possible to predict with a high accuracy the moment of structural failure. As main advantages of the new method we can list comparatively quick calculations of all types of structures, the examination and verification of design solutions, and`the detection of critical loads and weak points of constructions. All these result in a considerable saving of materials, which is accompanied by improving the safety of constructions.